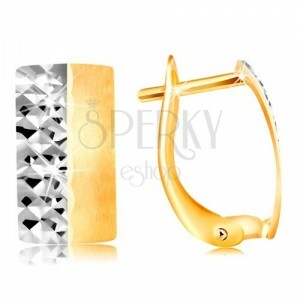 Earrings in combined 14K gold, a shiny-matt strip in two colours, shiny cuts, latch back fastening. By buying this product you can collect up to 62 points as a voucher of 12,40 €. Your reward points. 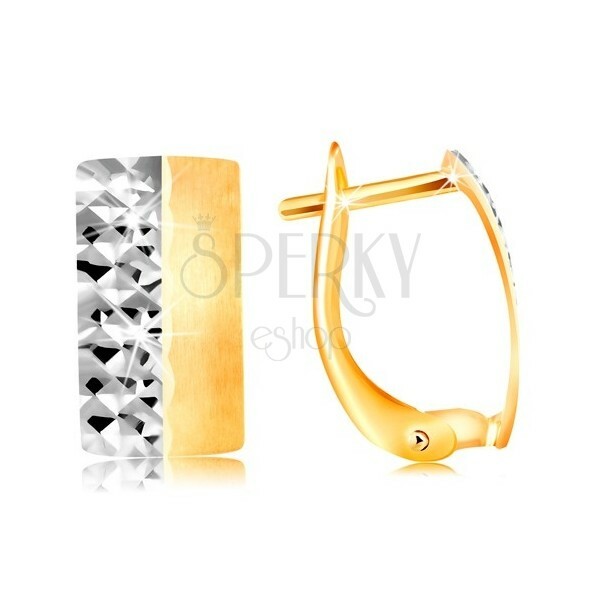 Earrings in 14K gold are in the shape of a wider rectangular strip with a flat surface. 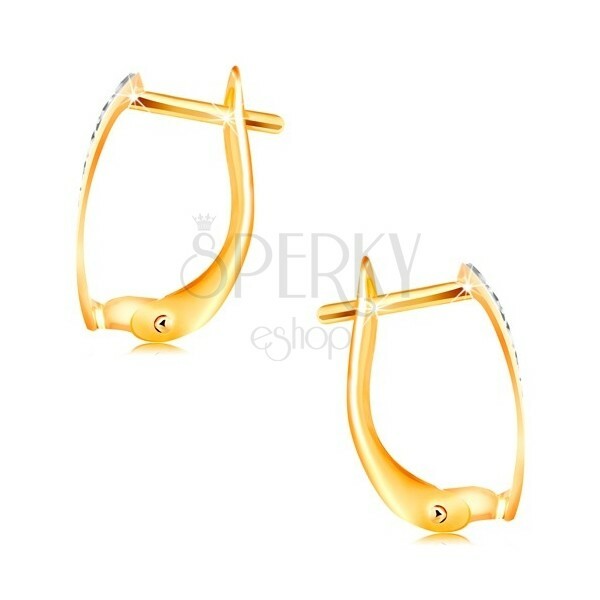 The half is matte and made of yellow gold. 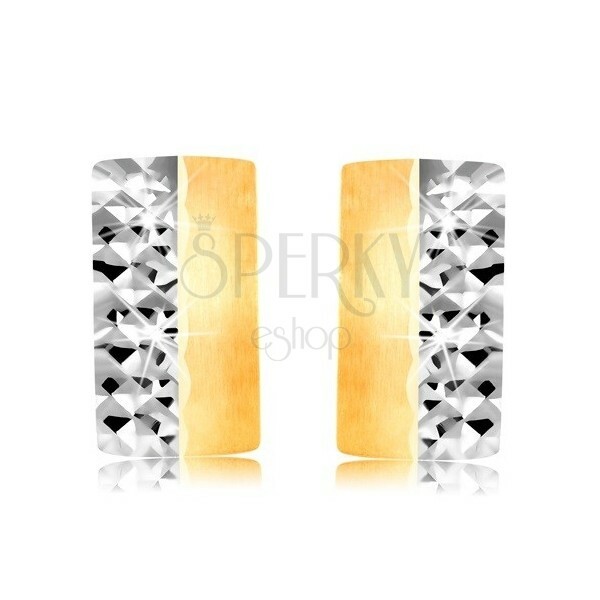 The other half is decorated with tiny shiny cuts and a layer of white gold. Latch back fastening.